Minerva Lodge happily passed another member to the second degree this month, congratulations Bro Arnie Neale. The Lodge also held its annual Ladies to Dine evening were they were entertained by Joanne Wenton who sang for us and were well catered for by the excellent staff at Hope Street. 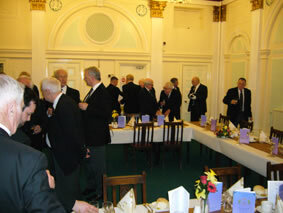 All our widows enjoyed the evening and our members had a wonderful time as always. 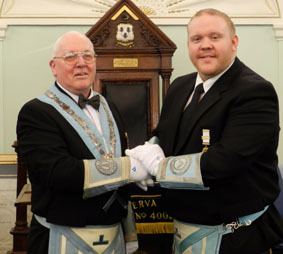 The Lodge this month saw one of our members passed to the second Degree – Congratulatrions Bro. Garth Prescott. We were also most pleased to ballot for and approve of another new member for joining Minerva Lodge in the coming months. The Lodge opened with everyone welcoming in our newest Lodge member, Bro. 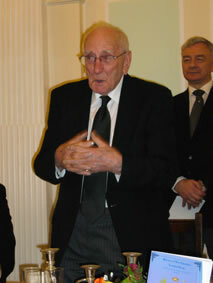 Arnie Neale, who was initiated by the Lodge members in the excellent time honoured Minerva tradition. 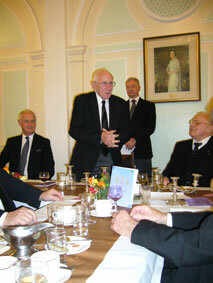 October 2012 ~ Minerva Lodge is sad to report the loss of our Senior member W.Bro Bill Scott P.Pr.J.G.W. Having just celebrated his 50th year in freemasonry earlier in the year, the Lodge was devastated to lose such a well loved and valuable member as Brother Bill. Our thoughts, sympathies and continued support are with his family. The very busy 2011/12 season came to end on Tuesday for Minerva Lodge and we wish all our friends and members a good summer and hope to see them well, and refreshed in September for the start of the 2012/13 season. Minerva will be holding a few summer events in between the seasons, so although we won’t be at the Masonic Hall we will still see each other and continue fund raising for the Lodge and most importantly our charities. Even though the season is finished it doesn’t mean that certain members aren’t continuing to work throughout the summer months and if anyone is interested in meeting up with some of our members to discuss Minerva or joining Freemasonry in general, we will always make ourselves available to do so. The summer is the perfect time to join our Lodge, as there is plenty of free time for our members and we can plan our new season without the worry of how we’re going to make all our ceremonies fit into what seems like a continually smaller window of meetings. (It’s not actually getting smaller, it just seems that way as we’re getting busier). Very best wishes to all and I’ll see you in September. On being passed to the Second Degree. The Masonic season came to a close for Minerva in quite dramatic fashion when forces beyond our control caused the Lodge to make a snap decision and pass two of our new members to the second degree, neither of whom were expecting it. The evening was well attended and lodge business was conducted with the usual aplomb and commitment by the Worshipful Master and his Wardens. 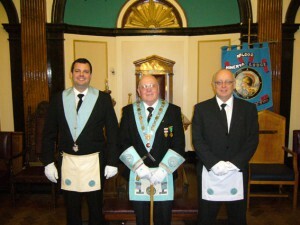 Congratulations are due to both David and Matthew on reaching the halfway point on their Masonic journey. Thinking about joining Freemasonry but aren’t sure what it would be like? Don’t take my word for it, hear what three of our newest members – who have joined through this website – have to say about the experience, and what they have gained from it. 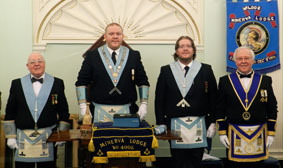 Have a look at our Contact Us page for the full transcripts of what these new members have said about joining freemasonry and Minerva Lodge in particular. for Worshipful Brother Bill Scott. On a very emotional night for many of the brethren, we celebrated at Minerva Lodge a very rare and special occasion in Freemasonry. Worshipful Brother Bill Scott has completed fifty years in the craft and was celebrated by his brothers in Minerva, his Group and Provincial colleagues and friends. 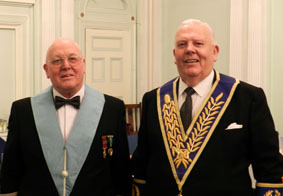 We were honoured to have with us the Assistant Provincial Grand Master W.Bro Stanley Oldfield, who gave a phenomenal recital of W.Bro Bills life – from Birth, through schooling, to work, through the War and encompassing his personal and Masonic career and most importantly his family, and never once needed to refer to a piece of paper. The evening was steered under the steady hand of W.Bro Barrie Crossley, Provincial Director of Ceremonies who was a pleasure to have in the lodge, and worked effortlessly and tirelessly throughout the evening, especially after having travelled to Liverpool all the way from Ulverston in the Lake District, it made his efforts all the more impressive. The Master of Minerva, W.Bro Don Chetwynd (pictured above) was in excellent form as he presided over the early and latter parts of the evening, he did so with a great composure and assuredness that cascaded throughout the Lodge, and made everyone feel at ease and under no pressure. The Wardens (Bob and Colin pictured above) as usual were word perfect in their ritual and an outstanding example to the newer members. On top of our contribution to the Charities last month at our Installation, Minerva was pleased to donate a further £200.00 to the West Lancashire Freemasons Fund. We were very pleased to have some wonderful guests at our evening including two representatives of our Liverpool Group, W.Bro, Sam Robinson and W.Bro Roy Ashley. We also had two Provincial stewards W.Bro Geoff Cuthill and W.Bro Robb Fitzsimmons, who are always a pleasure to have at any lodge meeting. The festive board was a joyous and lively occasion with some great work done by the Provincial stewards and by our own Lodge stewards in ensuring that no-one was left with an empty glass. We had some wonderful speeches by W.Bro Stanley Oldfield, Sam Robinson, Ted Bickley and of course the man of the hour W.Bro Bill Scott. The evening was topped off by a poem written and performed by Minerva’s own Alan Ritchie, which made the night all the more special and was superbly entertaining, funny and poignant. The Worshipful Master presented Bill Scott with a token of our Lodges affection and appreciation for his dedication to Minerva, which was a solid Gold pocket watch engraved with a message by the Brethren. Several other presentations were made, Cards of congratulations were read and the evening was brought to a close by the Tylers toast, as the Provincial officers retired, the Lodge was left with a great feeling and some exceptional memories to take with us. Thanks to all involved in making last night so special and another hearty congratulations to W.Bro Bill on fifty years in Freemasonry. The festive board, before dinner. 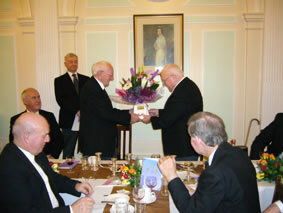 The presentation of W.Bro Bill’s gold watch. Flowers for Bills wife Nell. Bill says a few words to the brethren. Minerva Lodge held its annual Installation ceremony last night and saw the newly installed Worshipful Master Bro. 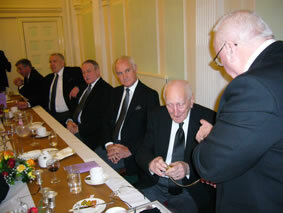 Donald Chetwynd installed in the Chair of the lodge by his immediate Past Master W.Bro Martin Farmer. 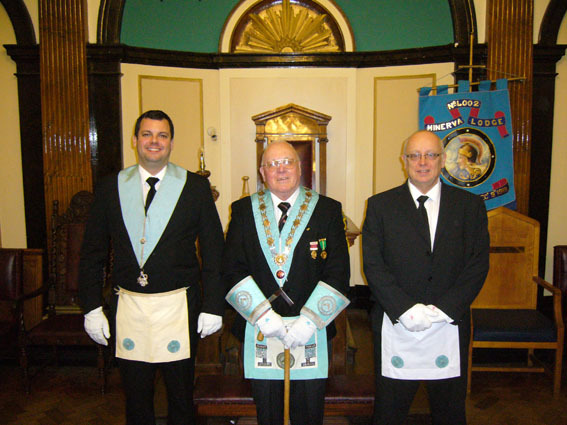 Representing the Right Worshipful Provincial Grand Master was W.Bro David Anderton P.A.G.D.C. of the U.G.L.E. who gave a wonderful address to the Brethren at the installation and only managed to trump that with a fantastic after dinner response to the toast for Grand Lodge. The Brethren of Minerva all conducted themselves with great aplomb during the ceremony and festive board, and were all elated to see W.Bro Don take the Masters chair, as since his joining Minerva he has been a very active and integral part of our lodge. The Lodge was very proud to have donated £1000.00 to the charities last night and will be working hard under the direction of W.Bro Don to assure that we either match or improve on that sum next year. We would like to thank our guests for their wonderful contribution to the evening and especially the two provincial stewards who worked hard at the festive board to look after the top table. Once again congratulations to W.Bro Don and a heartfelt congratulations to all the brethren who took up new offices and especially our entered apprentices who all took their first offices as Stewards of the Lodge. 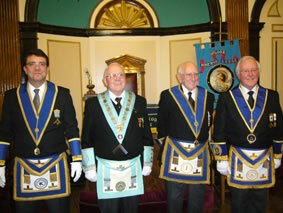 The Master Elect with the three previous Masters of the Lodge. Happy New Year to our members, friends and all who regulalry visit our website. 2012 will be a busy year for Minerva, with our installation taking place in February, which will see our new Master take the chair, and then we have a celebration for one of our senior members in March, marking his fiftieth year in freemasonry, which is a remarkable achievement. I will keep the website updated with any further events or changes within our lodge.